...but witches and those who follow the Wiccan way are still misunderstood. Recently, I was in conversation with somebody about my new book, due to be released on February 3rd next year. The Pendle Curse centres on the Lancashire Witches. Okay, I write horror, so my Pendle witches are a right evil lot as you might imagine. In reality, they were most likely two families who hated each other and others who got caught up in the melee. Witches? Maybe, but probably in the old sense of being 'wise' - at least as far as the women were concerned. "All witches are in league with the devil," my acquaintance said, mouth pursed, jaw set. "They worship satan." I disagreed and stated my case, but sad to say, this person would not be swayed. Her opinions on the matter were set in concrete. Reinforced concrete at that. But, you see, witches don't worship satan because the devil, as we know 'him' today, is a Christian concept. Did you know that the 2012 census revealed 83 declared witches living in Wales? Apparently that puts Wales ahead of anywhere else in the UK and makes it, unofficially at least, the witch capital of Great Britain. I live (for the most part) in north Wales and I haven’t (knowingly) met one here yet. My neck of the woods is a small, semi-rural community where pretty much everybody knows everyone else and has done all their lives. But would they even know if any of their number practised witchcraft – whether for good or ill? Just because there are 83 witches in Wales, does that mean evil abounds? Oh, and by the way, there are a reputed 93 satanists living in Wales. Different group of people entirely. 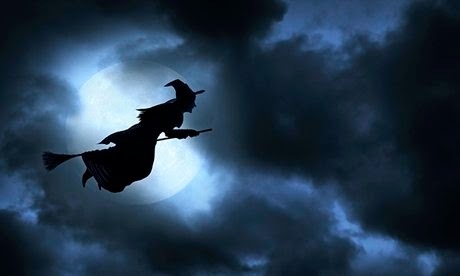 In 2010, Dyfed and Powys police reported 11 incidents involving alleged ‘witches’ over the previous five years (mind you, they also reported one alleged werewolf, two vampires, two zombies and a collection of ghosts). It seems some members of the public have vivid imaginations (possibly, or possibly not in direct proportion to the amount of alcohol or other substances they have consumed). At least one Welsh church minister - Rev Felix Aubel, who looks after five congregational parishes in Carmarthenshire – has claimed that a parishioner of his was cursed so badly by a witch he had to call in an exorcist. According to a Telegraph report a couple of years ago, the incident happened in 1994 and was a result of ‘envy that had turned to jealousy’. He claimed the witch had used a poppet – a doll fashioned to look like the intended victim - into which pins had been stuck. The services of an experienced Anglican exorcist were employed to remove the curse. Rev Aubel also stated that he had himself been the victim of the ‘evil eye’ during his ministry and had also known of this practice being inflicted on a mother who had recently given birth. Evidently a spinster neighbour resented her maternal happiness and looked at her in an evil way. Soon after, both mother and baby were hospitalised owing to 'breathlessness', for which no cause could be found. Both recovered and the mother then placed a horseshoe amulet in the porch of her home to protect herself and her child. The minister asserted that it was his view that belief in the dark arts escalated during times of hardship – such as the recent recessions. He was also quoted in the Daily Mail as saying he thought such practices “mumbo jumbo”, but they were dangerous because of the negative effect they had on people who believed in them. 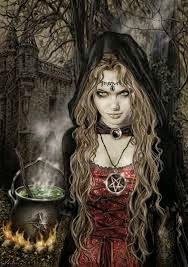 My issue here is not with the potentially harmful effects (whether psychosomatic or otherwise) of those who deliberately seek out to do others harm, but that they, along with those who might more accurately be termed Wiccan and those who prefer the term ‘white witch’, are all lumped together in one boiling cauldron of evil. Great for those of us who write horror fiction, but not helpful or fair on those who are merely attracted to the Old Religion based on nature and the seasons. 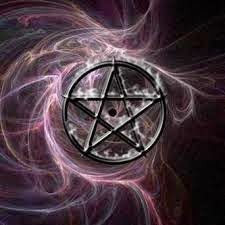 Many witches subscribe to the law of threefold return, which means that if a witch does intentional harm, so will harm be visited on her threefold. Quite a deterrent! But that’s just my opinion. I am not a witch of any persuasion and I leave it to those who are to state their case far more eloquently than I could ever do. At around the same time as Rev Aubel was promoting his book, A Rebel’s Story, the Bishop of Monmouth was reported in ‘Anglican Ink’ as being concerned about “black magic” rituals allegedly being conducted in churches and graveyards by “devotees of Wicca in Wales”. 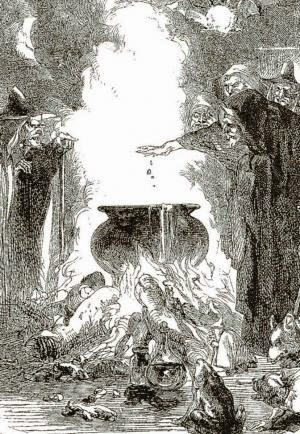 Now, whether the Bishop (Dominic Walker) intended to include ‘Wicca’ and ‘black magic’ in the same sentence, or whether he was misreported, is unclear, but whichever is the case, it is another example of how wires become crossed - even in today’s supposedly more enlightened times. Black - or shall we say harmful - magic is anathema to a Wiccan. And, by the way, witches may or may not be Wiccan. So why are there apparently more witches in Wales? Not that Wales escaped the witch hunts entirely. One Welshwoman who did fall foul of the beliefs and practices of the times was Gwen fferch Ellis of Betwys-yn-Rhos near Conwy, She was accused of leaving a charm in the house of Sir Thomas Mostyn and was taken to Flint Castle. Neighbours claimed she had harmed them through her witchcraft and she was tried and convicted at Denbighshire Great Sessions in 1594. She was found guilty of witchcraft and sentenced to be hanged. The house she is supposed to have left her fatal charm in – Gloddaeth Hall– still remains to this day (although it is now known as St David’s College). Gwen was extremely unfortunate, being one of only five witches executed in Wales for witchcraft during the 16th and 17th centuries. The total Europe-wide for that period was in excess of 100,000, of which there were around 1000 in England alone. It would appear that, generally, people regarded witches in their community as the ‘wise women’. The ones who knew enough about herbs to be able to create a potion to cure many maladies, not just in humans but in their valuable animals too. 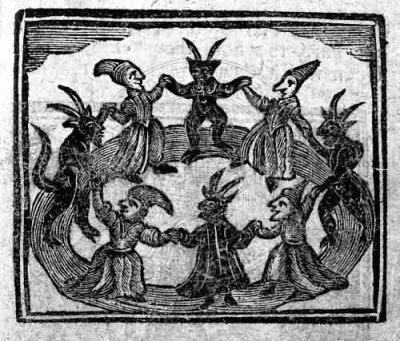 That had been pretty much the case for centuries in the rest of the UK as well, until the Middle Ages brought a change in attitude when the belief grew that witches had made a pact with the devil. Whether or not Wales really does have more witches per head of population than anywhere else in the UK is, in my opinion, irrelevant. Contrary to what some people might believe, they are not running rampant around the countryside desecrating churches and worshipping Satan. They don’t generally have hooked noses, wear pointy hats or fly around on broomsticks. They may or may not live alone. They may or may not have a cat. Black or otherwise. 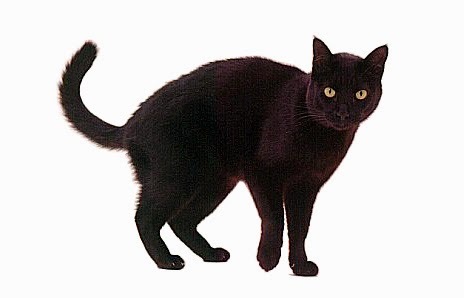 If so, their cat does not commune with the devil and his imps. A witch may be standing next to you in Sainsbury’s, sitting next to you as you commute to work. They may even be working with you. Right now. Because witches are just like anyone else, except they may have a more acute awareness of nature and the changing seasons - and they may celebrate these in a different way, but always with reverence and love. Never with desecration.